Why do we need the United States if there are Moravia? It is surprising that Someday You'll Return - a horror set in Moravia - consists of only two people. 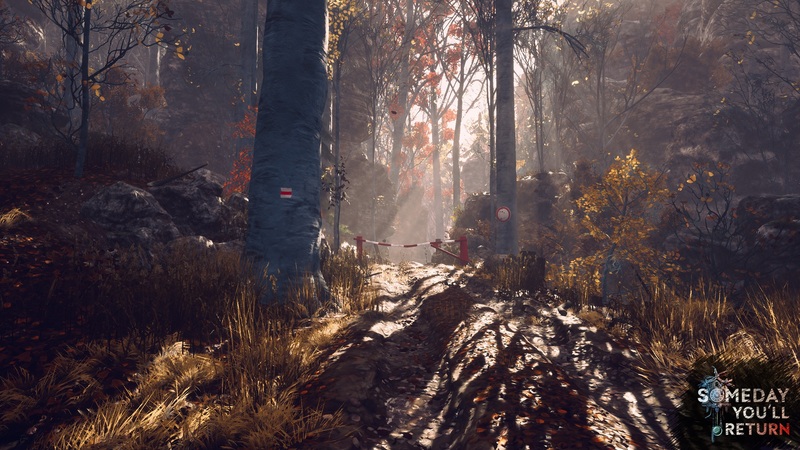 We create a game that emphasizes the story, but not the classic "walking simulators". 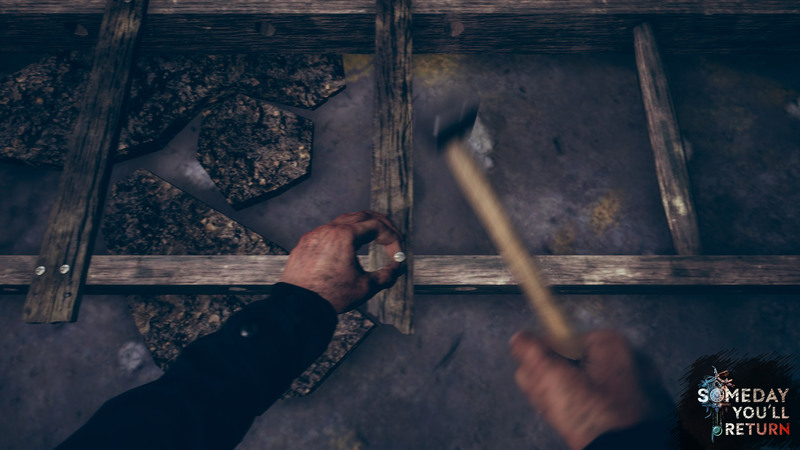 We have a lot of things that you can do in the game, such as making objects, collecting herbs ... Nothing prevents you to consider the mixture, interact with the environment, etc. So we put emphasis not only on history, but also on the gameplay. What may be the most attractive from the point of view of the Pole is primarily the scenery used. These two regions - one located in Moravia and the other in the Czech Republic - are associated with our childhood. We wanted to draw from something that we know very well, intimately. We grew up in these lands, we know them so well that we can place our history there. In addition, it is very beautiful and ancient areas, especially those in Moravia - important historical events took place there, dated even to the tenth century. We use some of them in the game. We also work with local folk music, these sounds are the foundation for us on the soundtrack. The main motive in the game is neo-folk. 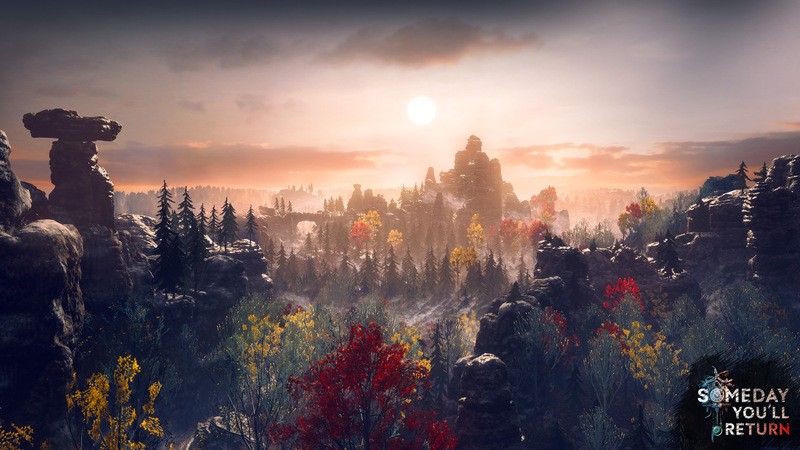 When you look at American or Scandinavian forests, which are very popular in video games, you will see that they have rarely scattered, not very tall trees. But we draw inspiration from our forests ... These are really thick and high, and human activity is also felt in them. They resemble modern forests, not some pristine primeval forests. Developers emphasize that they care about the tourism aspect. In the game, therefore, we find not only many authentic guideposts to help you orientate yourself in the field, but also real spots that you can visit after playing. 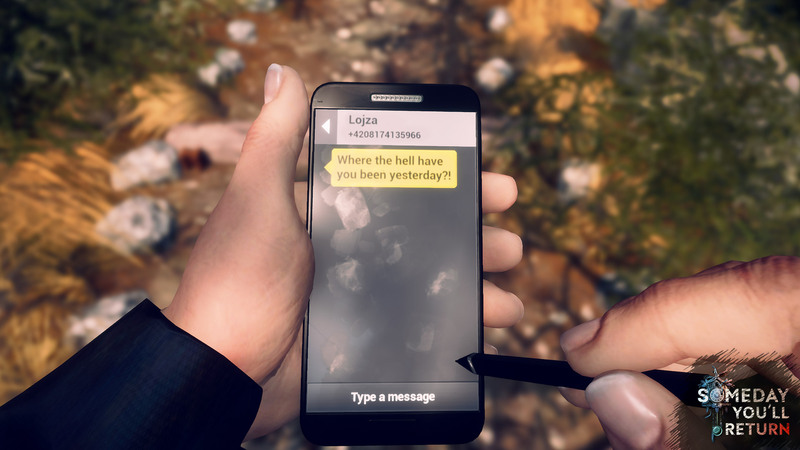 Especially that in QRDay You'll Return there will be QR codes, which after scanning will show the actual equivalent of the location we are currently looking at in the game. However, we are not talking about faithful representation of the whole region. There are places that are very recognizable - says Medek. - They are not geographically in the correct place. We rather cut them out of their place and pasted into the game. They are more condensed than in reality. We want to bring players to these beautiful places, let them experience them - adds Kavan. This is a completely different strategy than the one that the Astronauts once adopted in the creation of the Ethan Carter Missing. There we deal with landscapes and architecture taken out of Lower Silesia, but the creators presented these areas as Red Creek Valley in the United States. Adrian Chmielarz, the head of the studio, explained that such a decision was caused by references to weird fiction prose ... but also commercial considerations. Because the USA is universal, it does not require any entry threshold, but in the meantime Poland could create a barrier. As you can see, the creators of Someday You'll Return do not share such an approach. Nowadays Slavic environment is very interesting for recipients, even those from America - says Medek. I think that we have made a good decision with the settlement of the game in Moravia - adds Kavan - because for people from the US it is an exotic location, with a certain attraction. Seeing a completely different region can enrich them. People like to visit other countries through various media, it's inspirational. I do not think we should Americanize. It's our heritage, we want to put them in the game. There are also many challenges. 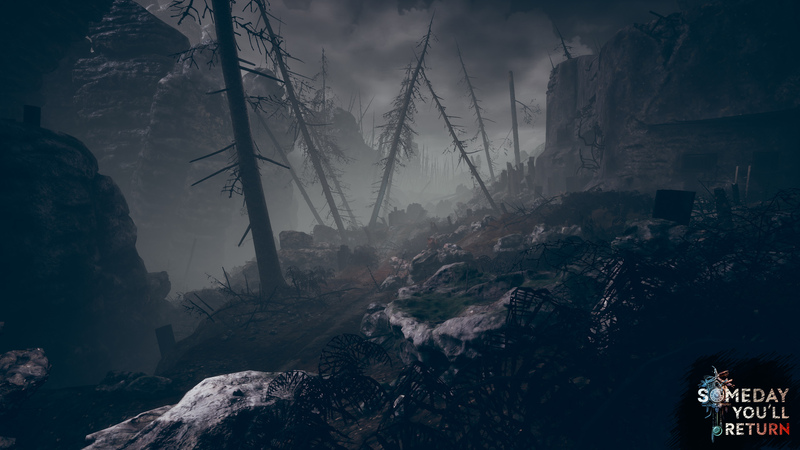 A character appears in the game that practically lives in these forests. We wanted to find an appropriate English accent for recording dialogues, which at the same time would not sound like from Russia. We try to be very faithful to our concept. We do not want to put into the game all this old story, and then let the inhabitants of these areas speak with a modern accent. You have to take care of a lot of different things, but I think it's worth it. This is admirable attention to detail. In addition, the game is not created in some RPG Maker, only on Unreal Engine 4. There is nothing to be ashamed about the binding, just watch the trailer. And when you add all these elements, such as creating objects, collecting herbs, day and night cycle, tracking, stealing ... You can catch your head and ask: how is it done by only two people? Have infinite time resources? Superpowers? Do you use out-source? Are not they sleeping? The truth is that in the case of several elements of the game that require appropriate professionals, we use out-source. For example, to clean motion capture sessions or some animations. Besides, most of the creative process we are able to grasp independently, we do not need anyone. Well, maybe in addition to recording dialogue, because we have many female characters ... But I think that some 95 percent. the game is made only by our two. I even act as a motion capture actor myself. We do almost everything. I think the secret is that we've been doing it for a very long time - says Kavan. - We started in 2001 - or in 2002 - as WildBoar Productions. However, this did not work and in 2006 we started CBE with Lukáš. We exist for 12 years, we have already published several games ... Yes, it's just a long time. We have developed a very good workflow that suits us and makes us do things much faster than we would do in a larger team - adds Medek. - Such a team would require continuous instruction, management ... Some things can be done faster in two. We are able to make quick decisions and speed up the entire creative process. Well, CBE Software tactics definitely works, and even natural chemistry between developers does its job. Someday You'll Return is scheduled for 2019. The game will definitely come out on PC. Developers would also like to release it on PS4 and Xbox One, but at this point, however, begin the stairs in the form of a tiny team that can not cover everything at the same time. Anyway, it is worth waiting for this intriguing horror, which will not only scare you, but also show the world some of the surrounding nature. After all, how much can you get lost in American forests?